I’m dedicated to providing high quality medical care with a personalized approach. Patient care is my number one priority, and I take extra time to listen deeply to my patients about their health concerns and their lives. I care about not just what ails you, but also how it’s affecting your day-to-day quality of life. In this way, I’m able to treat the whole person, not just a disease or symptom. I recognize that each one of my patients is unique. Every acupuncture treatment and herbal prescription is tailored to fully meet the individual needs of my patients. I use a gentle and effective acupuncture technique and prioritize the comfort of my patients. I believe in compassionate care and bring healing back into the patient-practitioner relationship. 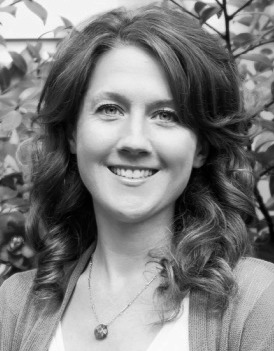 Tara Gregory is a Licensed Acupuncturist by the Oregon Medical Board and is Nationally Board Certified in Oriental Medicine by NCCAOM. She holds a Master's Degree in Acupuncture and Oriental Medicine from the Oregon College of Oriental Medicine. After gaining my Master's degree, I traveled to Nanjing, China for post-graduate clinical training at the Nanjing University of Traditional Chinese Medicine. I completed rotations at two Chinese Medicine hospitals focusing on Internal Medicine, Chinese Herbology, and advanced Acupuncture. In the fall of 2012 I worked with the Acupuncture Relief Project treating medically underserved communities in Chapagaon, Nepal. I attended the inaugural Integrative Fertility Symposium in Vancouver, British Columbia in May 2015. This conference focused on acupuncture and Chinese Herbal Medicine to enhance fertility, promote healthy births, and to improve the outcomes of IVF treatments. In addition to training in Chinese Medicine I’m a 500-hour certified yoga instructor, and I have completed training in dietary therapy with Paul Pitchford at the Heartwood Institute in Garberville, CA. I have studied Buddhist meditation at Green Gulch Farm and Tassajara in Marin and Carmel Valley, CA.